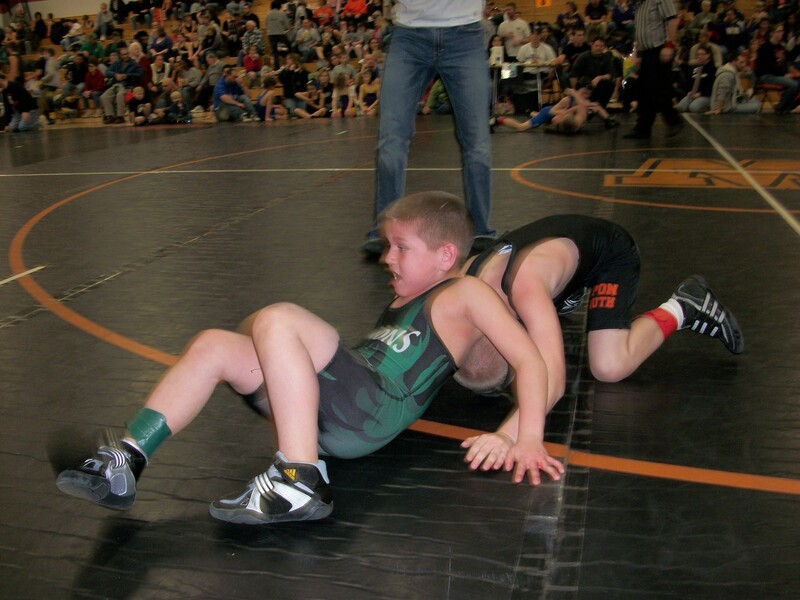 The Green Demon Wrestling club had 16 of our youth members compete in the Wautoma Stingers Youth Wrestling Tournament on Sunday, February 7, 2010. Every weekend it seems there is a different kid from the club showing they’ve learned more than just half nelsons and cradles while attending the Green Demon practices. This weekend it was 6th grader Rylan Burrows turn to step up to the plate, as he found himself matched up to face fellow teammate 5th grader Brandon Kniprath. If the two were to face off on the mat it would take points away from the Green Demons Team Roster and reduce their chances of bringing home a team trophy. 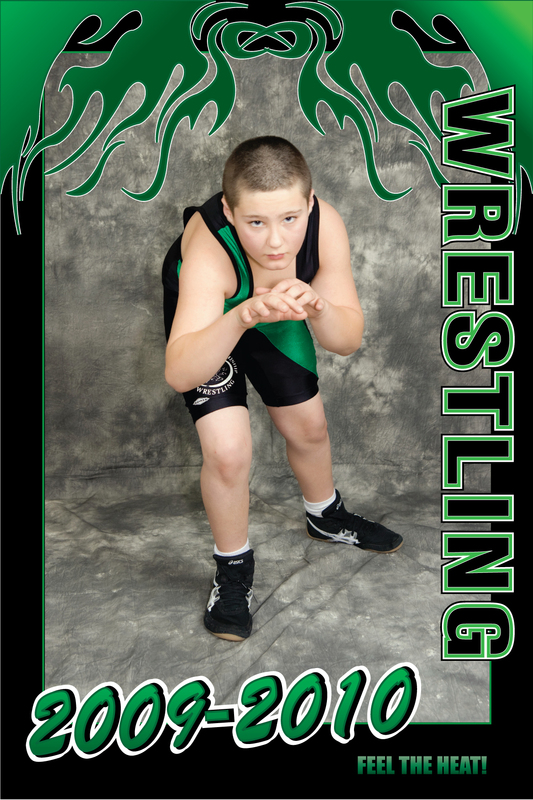 Putting the best interest of the team in front of his personal agenda, Rylan moved up into the 7th and 8th grade bracket. 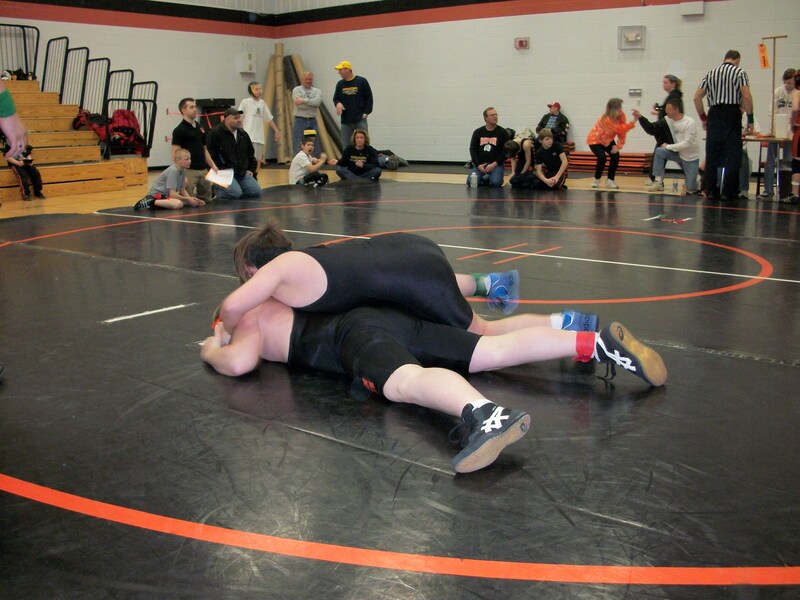 In his first match Rylan made easy work of the older kid and won by the way of a pin. As Rylan took the mat in his second match of the day it reminded me of the scene from Rocky IV when Rocky Balboa stood in the middle of the ring looking up at the much larger Soviet boxer Ivan Drago. But as the movie went, so did this match as the smaller Rylan Burrows won by points and secured a first place finish for the day. Although the Green Demon team fell five points short of bringing home a fourth place trophy, you could still see the pride on the faces of the parents and wrestlers as they left the gym that day!